Can you picture the student who has just said this in a writing conference? He smoothes the pages of his notebook to reveal countless scribbles and doodles that he has spent the past few days getting down. He has generated multiple ideas for his next writing project. He has done his homework. But he sits here on Flash Drafting day, staring at a blank screen, the cursor mocking him. “You doing okay?” I ask. I sympathize with this student. He’s a perfectionist. He writes one sentence and then the next, slowly building the perfect essay in the same way my son arranges his animals in his crib at night: one after the other, each in its place; snug, tidy, perfect. So much depends on what I say next. And when I say “so much” I mean: this student’s stamina, his self-confidence, his writing future. It would be easy to look at his notes and suggest a starting line — to “put words in his mouth.” And while this may help him get started on this particular paper, it’s also where the help ends: here. Next time he can’t figure out “how to say it,” what tools will I have given him? How will he move forward without a teacher whispering in his ear? Here are three strategies you can share with the student above to help him move past his current state of stuck and any stuckage he may encounter in the future. Write your topic or basic idea at the top of the page. Then write as fast as you can for 2 to 3 minutes, jotting down whatever comes to mind on this topic. Let your ideas flow onto the page without judgement. Read over what you wrote, either out loud or in your head. Choose one thing resonates with you — a word, a phrase, or a line. Skip a few lines on your paper, and write this new idea on a clean line. Repeat steps 2-5, writing from your new idea each time, until you figure out what you want to say. Often when a student tells me she knows what she wants to say but not how to say it, she has a draft in front of her. She just doesn’t like how it sounds. And while there are times when scraping a draft makes sense, when starting from scratch can provide the clean mental space a student needs to find momentum again, but I usually encourage the student to try writing in between the lines first. Start with a draft, even if it’s yucky, even if you hate it. If it’s on the computer, double or triple space it. If it’s in your notebook, type it up and double or triple space it. Print it out. In a colorful pen, write in between the lines, or in the white spaces, to flesh out and extend, or question and contradict, the existing writing. Type up everything you’ve just written in the different color. Read what it says. See if it moves something in you, or if it better expresses what you were trying to say. Consider blending the first draft with this “in between” draft for the perfect expression of your ideas. James Britton must have been thinking of the writers who can’t find the right words when he wrote that “writing floats on a sea of talk.” In the past I rarely made time for writing partners and groups to get together and talk about their ideas: I worried it would fester into chit-chat and what-are-your-weekend-plans chatter all too soon. But the more I realized the power of conversation as a writing tool, the more room I left in our schedule for regular meetings between writers. This talk strategy can be used in writing partnerships, writing groups, or in a writing conference with your student. Talk to them. Tell them what you’re thinking. If you’re trying to write a scene, close your eyes and tell them what you see. If you’re writing about an opinion you have, tell them your opinion and why you feel that way and why it’s important to talk about. If you’re writing something informational, tell them what you already know and what questions you have and what excites you about the topic. Just talk. For a few minutes. Buddy: Grab some sticky notes. Write down words, phrases, and lines that resonate with you as the writer speaks. Then tell the story of your sticky notes, and hand them back to the writer. Writer: Put these sticky notes in your notebook. Ponder them. See what additional thoughts they may yield. Note how powerful it can be to see your words staring back at you. If I had taught one or more of these strategies as a minilesson in the past, I could direct the student back to his notes, review the steps with him, and watch him get started. If I had never taught one of the above strategies, I might choose in my head the one that I think would best fit his purpose or writing style and do a quick 30-second demo in my own notebook in front of him. If there were other students in the class with whom I had shared these strategies, I might form an impromptu writing group in the corner and ask each of these students to share one of the strategies with the writer. It’s tempting in a conference to help the student “fix” the paper in front of him, but if a larger goal of our teaching is our students’ independence, we have to help him solve his problem now and in the future. In other words, we have to give him a tool — or a few — that he can keep in his back pocket for the next time the same problem presents itself. What strategies do you share with writers who struggle to find the words to express their ideas? Let’s add to this list of strategies together! 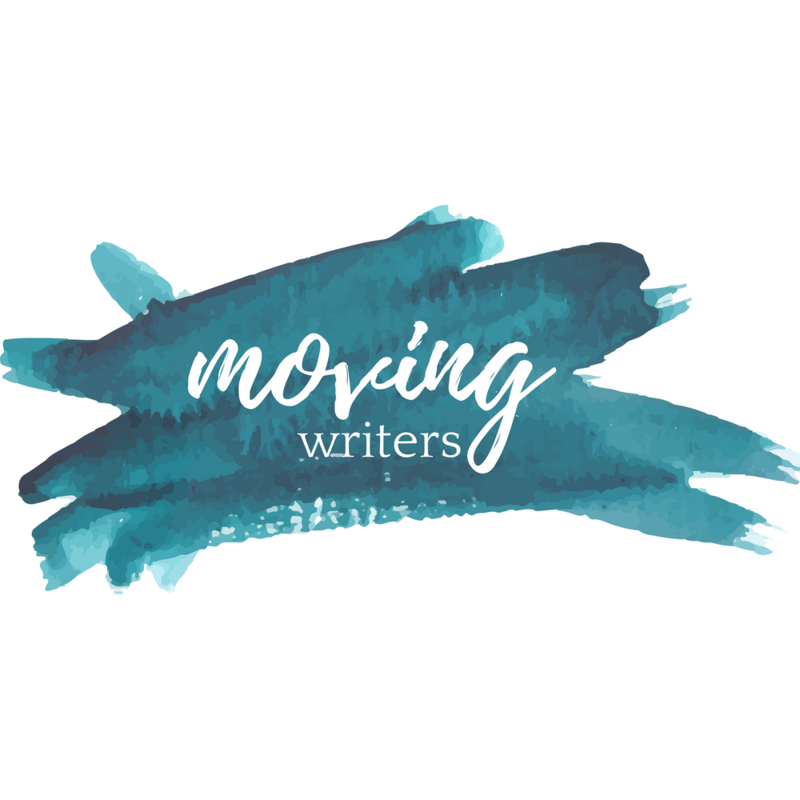 Find me on Twitter @allisonmarchett or email me at movingwriters.org.